Hymns have amazing power. When we hear the opening bars of a well-loved tune, we can often call to mind verse after verse word-perfect. The words have a beauty and conciseness. They are prayers. They are scripture. They express God’s guidance, forgiveness and love. They comfort, inspire and encourage. 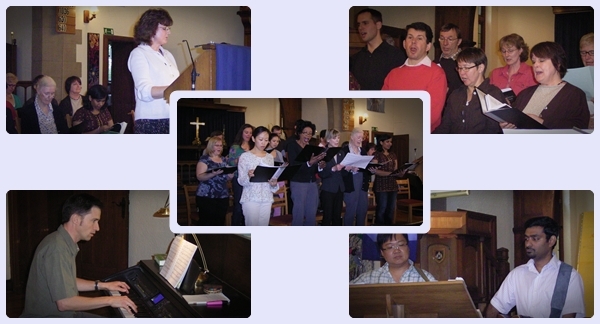 With a growing community at Christ Church, the need for musicians and singers is increasing. We have several projects currently under way, ranging from the regular Sunday services, advent market, nativity play and the carol service. If you are interested in joining and helping out, please get in touch with Nicola on 02150 3398 or by email on music[at]christchurchanglican.de.